This is the only comprehensive resource that covers all aspects of management, for all types of nonprofit organizations and charities in Canada. Contributors are leaders in the charity and not-for-profit sector, from across Canada. Canada has one of the largest nonprofit sectors in the world. Over 170,000 organizations provide a vast array of services that affect the quality of life of almost every Canadian. As pressure to change and evolve intensifies, managers of nonprofit organizations face unique, ever-growing challenges to manage resources efficiently and effectively. 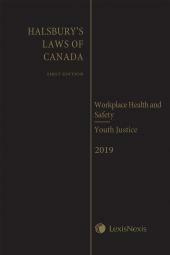 This new edition is the only comprehensive resource that covers all aspects of management, for all types of nonprofit organizations and charities in Canada. 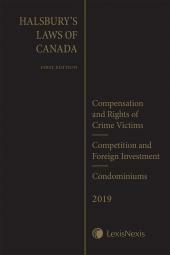 Each chapter is written by a contributor who is a leader in the charity and not-for-profit sector, from across Canada. Keith Seel, Ph.D., CVA, FRSA is the Dean, Centre for Excellence in Foundational Learning at Bow Valley College. In this role he works extensively with the nonprofit sector and government to provide basic literacy education and upgrading for a diversity of students looking to either take additional education or to move to better jobs. Previously Dr. Seel was the Director, Institute for Nonprofit Studies at Mount Royal University where he was an active researcher into Canada's nonprofit sector. He focused on both governance and social policy issues within Canada's nonprofit sector. Dr. Seel is currently appointed to the Premier's Council for Alberta's Promise, an initiative designed to address the needs of children and children's service agencies in the province. He has served as the Chair, Human Resources Council for the Nonprofit Sector; board member of many nonprofit organizations for more than 30 years, and appointed to both the Alberta Council of Teaching Standards and the Persons with Developmental Disabilities Calgary Region Community Board. 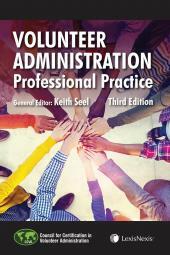 Dr. Seel is the editor for The Management of Nonprofit and Charitable Organizations in Canada, Fourth Edition and Volunteer Administration: Professional Practice, Third Edition, both published by LexisNexis Canada.